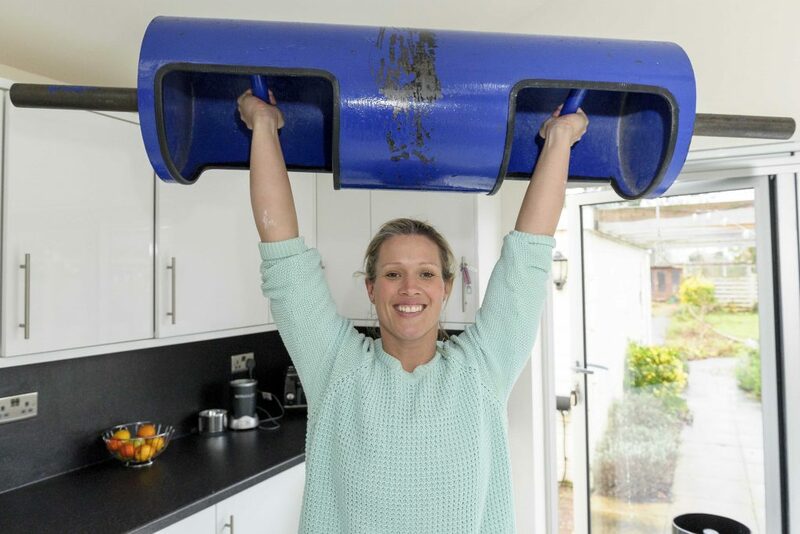 She’s won the titles of both Britain’s Strongest Woman and World’s Strongest Woman, so surely PE teacher Jenny Warner must be Britain’s Strongest Mum. The Southampton superwoman trains six times a week around her demanding full-time job and even works out as she cooks dinner. Standing at 5′ 6″ Jenny can lift an incredible 160Kg – almost three times her own body weight – and her adorable five-year-old Ella loves to help. Amazingly, the 34-year-old has only been training for four years – in that time she’s lost 20kg and has won multiple competitions. Jenny said: “After my daughter was born I wanted to get back into shape. I’d been to gyms before but I basically was struggling with motivation and my friend showed me this strong man’s gym. “At first I was doing it for weight loss, but I carried on from there. I don’t think a lot of people realise how good weight training is for fat loss, as well as for your mental health. “I think it was the training that got me through being a first-time mum. “There is this old stereotype that only guys lift weights and it’s just not true. With this generation though, I do think things are starting to change and hopefully I can help show people that. “Women can be put off lifting weights because they think it’ll make them manly, but you can still stay feminine – you don’t automatically start looking massive. “I really enjoy doing something a bit different and the girls who do it are a just so supportive and positive, even though it’s a competitive sport. “It’s great being able to go to the gym and surprising people with how much I can lift – my partner does it too and so we have fun competing. Jenny’s become a master of multi-tasking over the years as she has to fit her training in around her busy life. “I work full time as a PE teacher and then I have my daughter Ella and training, so it can get pretty busy. “It’s quite difficult fitting training around working and being a mum, we tend to go on the way from work or before. “At the gym I met so many women who worked full time and have kids, and I thought if they could do it, then I could too. Jenny’s had to get pretty creative in order to keep up her fitness levels – even creating circuits in her own kitchen. “If I can’t go to the gym or I don’t have time I actually like to set up a circuit in my kitchen as I’m cooking dinner. “I usually make it with four exercises, for example: pull ups, squat jumps, burpees – anything that doesn’t need too much space. “I try and do them in-between the cooking and I tend to aim to do 100 reps for each one in half an hour. “There’s definitely some multi-tasking involved but that’s nothing new – I’ve gotten pretty good at it as I have to do it a lot! “I’ve also got a garage gym at home and if I can’t get to the gym and I have a bit more I train there. Little Ella’s not forgotten in all of this – she loves going along to the gym and being incorporated in her mum’s exercise routine. 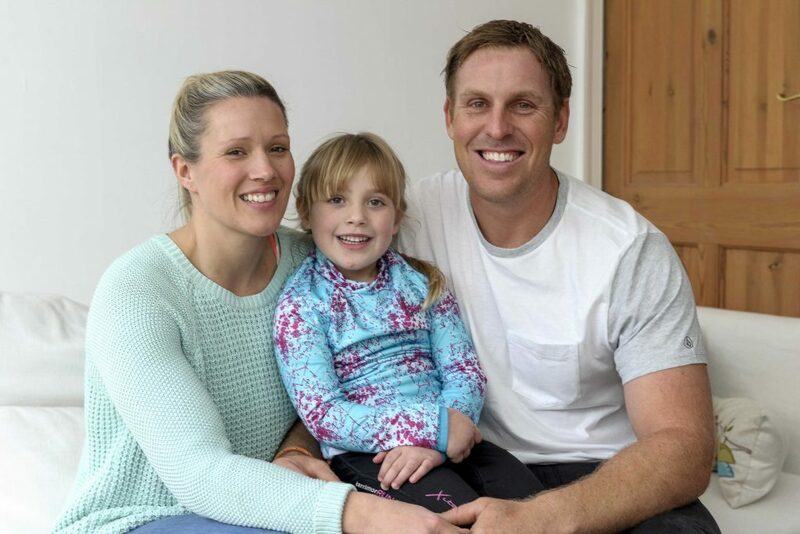 “We like to use Ella as a free weight sometimes – which she loves – and my partner, Dave, and I also take it in turns to put her on our back and do push ups. “My life is quite fitness based – I have to be fit to do my job and my kids love it – they’re always impressed by how much I can lift. “I think women do like to feel strong in all aspects of life – women these days work full time jobs, as well as bringing up kids and the women I’ve met in this sport are so dedicated in order to fit everything in. “Ella was so proud when I won Britain’s Strongest Woman – she was going around at school, telling all the other mums and kids how her mum was the strongest one.